Measuring 403⁄4 inches tall, the John Boos ST6R5-3072SSK work table is the perfect height for prepping ingredients and using small equipment like warmers and dispensers. The top is reinforced by a 1-inch-by-2-inch channel and is TIG welded for additional strength. Turned-down side edges enable the unit to be lined up against other tables and equipment. 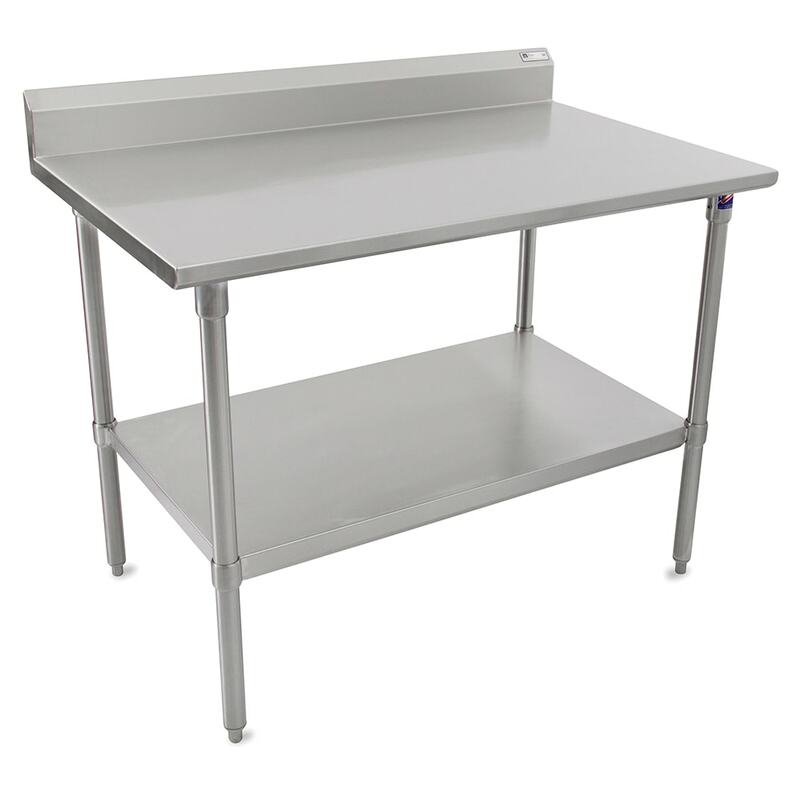 The stainless steel construction of this John Boos ST6R5-3072SSK work table provides corrosion resistance and is easy to clean. 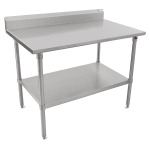 If you are unsure what type of work table or stand you need, check out our tables and stands article.